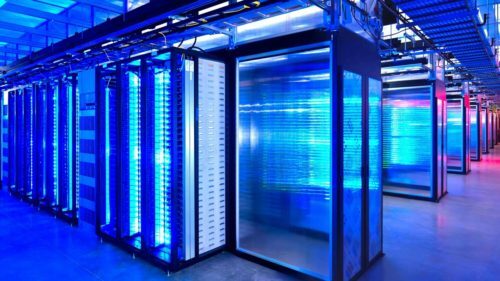 Data Center Design | Fancom Connects Ltd.
Cisco estimates that by the year 2020 there will be 75 billion internet connected devices on the planet. This includes devices we’re aware of today such as computers, cell phones, laptops, tablets and any number of IP enabled devices than can monitor every conceivable activity and may include devices we can’t yet imagine. All of these devices have at least two things in common – they require digital information of some kind to be functional and the digital information at some point on its journey to your end device comes through a cabling network that is eventually connected to a data centre somewhere on the planet. Data centres are specially designed buildings as the purpose they serve requires accommodations that most other buildings may not. Data centres must be reliable, as the result of a breakdown at a data centre can be costly. For example, it’s estimated that Amazon would lose $1,104 in sales for every second that their internet based payment system was not in operation. Consequently, “uptime” is critical and striving for an uptime of 99.999% or “five nines” is often the goal for the largest data centres that support critical financial and other communications applications such as the 911 emergency services. In order to ensure maximum uptime, good data centre design includes detailed considerations for power supplies, air conditioning, fire suppression, raised floors, and cabling infrastructure. While these considerations are important to the design of a data centre, this is by no means a complete list. Air Conditioning – As the servers, switches and myriad other equipment in a data centre generates heat, the supply of suitable air conditioning and the active management cool and warm air of is a must. Like power supplies, air conditioning may also be provided in multiple ways to ensure that operating temperatures within the data centre equipment room remains optimal. Fire Suppression – Dry fire suppression methods are required as a water sprinkler system would ruin all electrical equipment. A Raised Floor environment is often required so that in the event of flooding from a natural disaster or plumbing malfunction, electrical equipment is not in peril of being water damaged. Cabling infrastructure – Even in a wireless world all devices rely on cabling somewhere along the line. Data centres may have tens of thousands of cables that in aggregate run for hundreds of kilometres. Management of these cables with appropriate conduit and support structures, a well-designed labeling system and regular maintenance schedule is critical to optimal data centre efficiency.